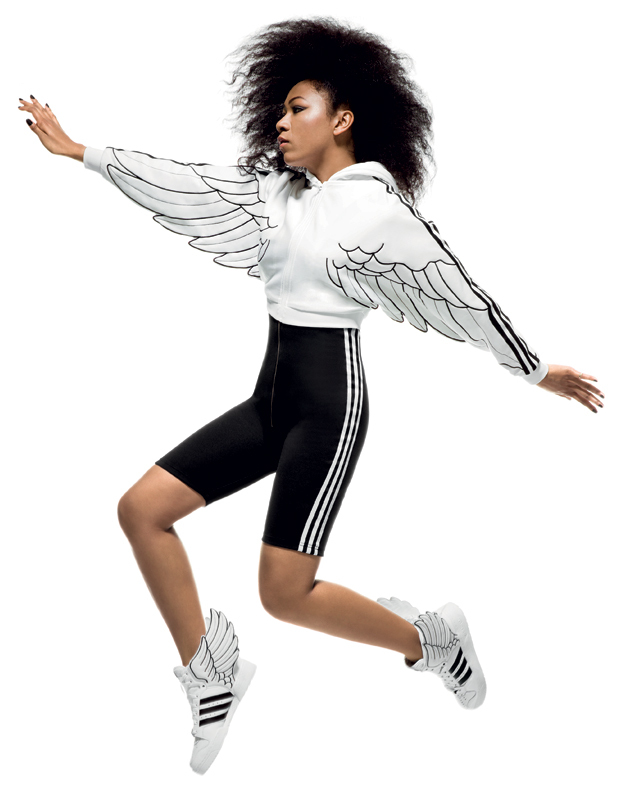 Following massive PR success and growing demand, Jeremy Scott and Walt Disney© officially teamed up with adidas Originals to bring this model to life, which was originally created for Jeremy Scott’s Fall/ Winter 2009 runway show, titled “Mouse Trap”. 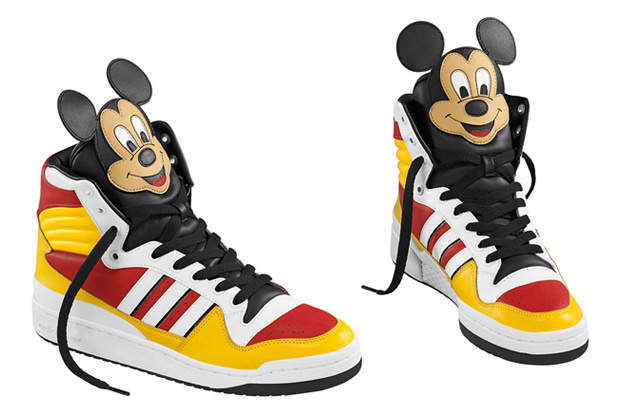 The Mickey Hi is based on the vintage adidas model, the Eldorado, where Jeremy Scott has incorporated elements of Mickey Mouse, the classic Walt Disney© character into this limited edition high top. 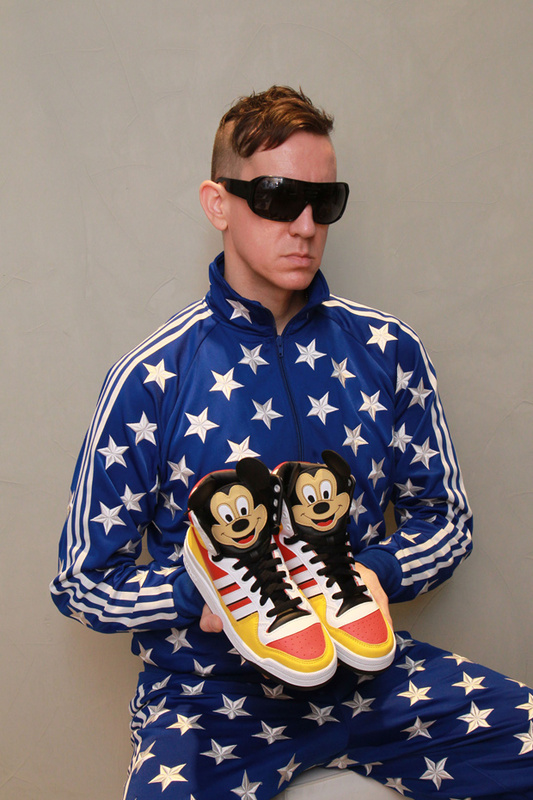 The Jeremy Scott Mickey Hi will hit select accounts on April 1st at the price of €180. 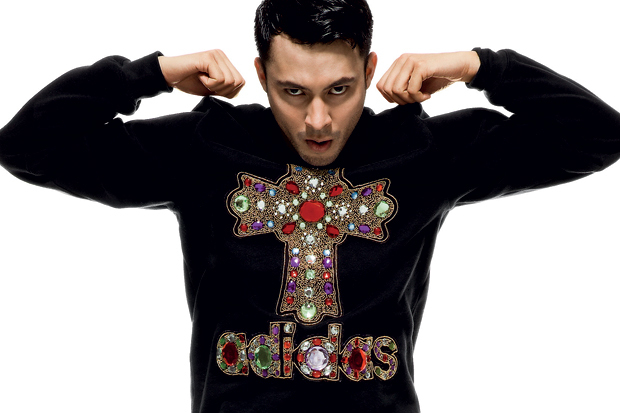 Another flashy number from Jeremy Scott’s Spring/Summer ‘10 collection, the JS Logo Attitude High didn’t make an appearance last season, but now it is back in all its over-sized Trefoil tongue glory in this striking metallic silver and yellow colourway. This remix of adidas’ basketball classic high top features an embossed pattern on the silver, making it seem like the uppers are made from a woven material.